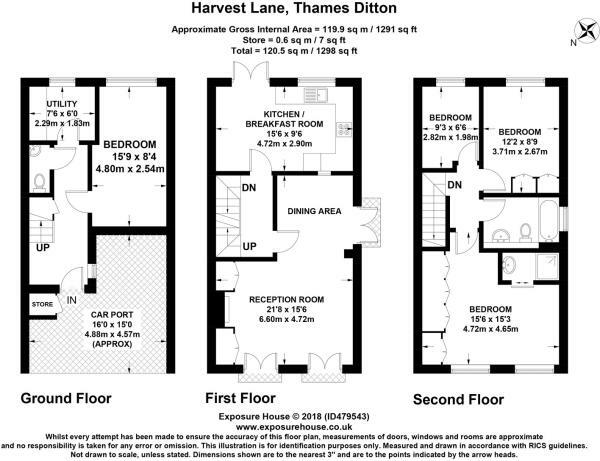 Harvest Lane is a private gated development situated in the heart of Thames Ditton Village. 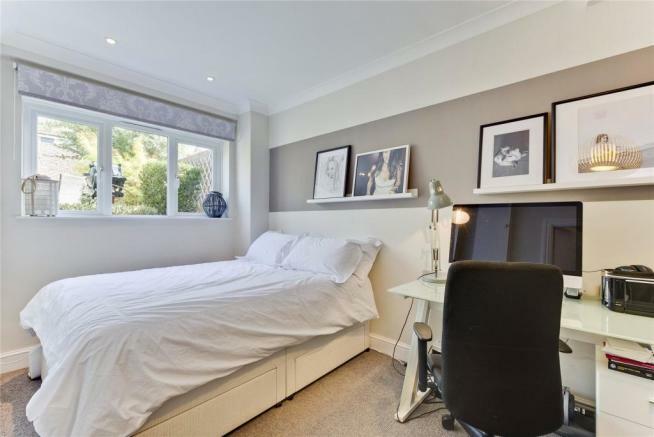 Located just off the High Street, the property is very close to the local amenities which include a delicatessen, greengrocers, florist, bakery, hairdressers, cafes and much more. There are shops and restaurants in nearby Kingston upon Thames, Esher and Surbiton, as well as the lovely green spaces of Giggs Hill Green and Bushy Park. Thames Ditton Station is situated just half a mile away and provides regular and direct trains into London Waterloo in around 31 minutes. The A3 is approximately 2.5 miles away providing good access to London, the motorway network and Gatwick and Heathrow airports. The area is very popular with families and there is an excellent selection of schools available at all age levels, both in the state and private sector. 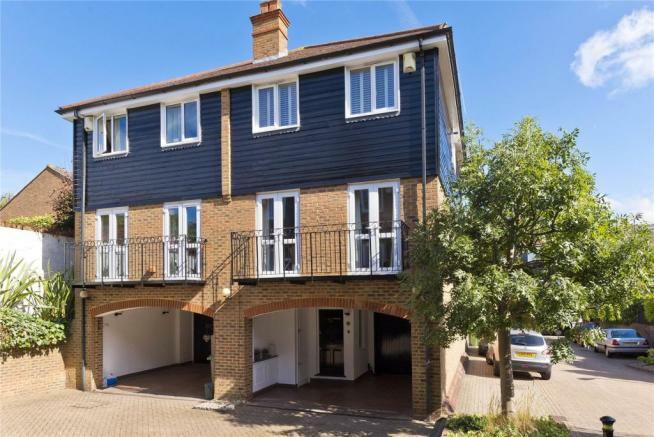 This modern 3 storey townhouse offers fantastic family accommodation throughout and boasts a stylish interior. The ground floor level comprises entrance hall leading to a guest cloakroom and utility room at the rear benefiting from a coats cupboard. The garage has been converted into a useful living space and is currently configured as a bedroom/study. On the first floor you will find the kitchen/dining room to the rear of the property. French doors access wrought iron steps which lead down to the garden and patio. 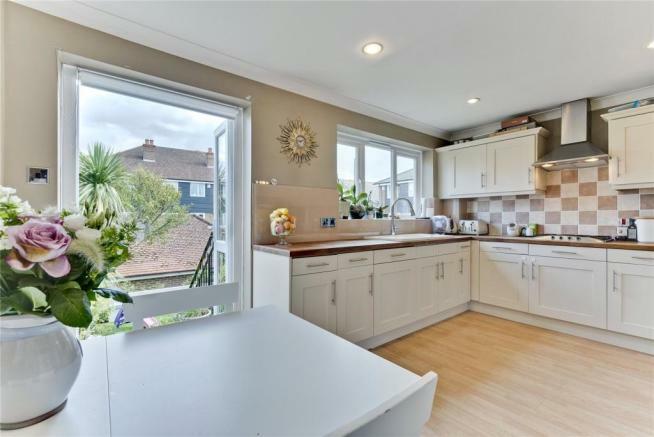 The kitchen is fitted with a range of traditional shaker style wall and base mounted cabinetry, integrated appliances and there is ample space for a dining table and chairs. 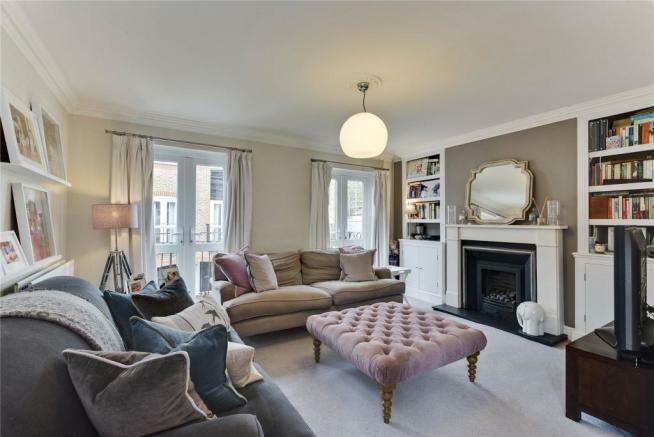 To the front of the property you will find the large triple aspect living room. 3 sets of French doors open out on to individual balconies overlooking the front and side of the property. This room also boasts a gas fire with stylish stone surround. 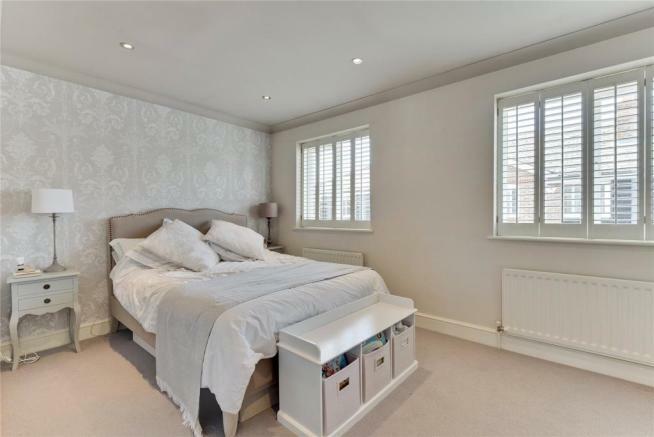 On the second floor the master bedroom benefits from an en suite shower room and built in wardrobes. 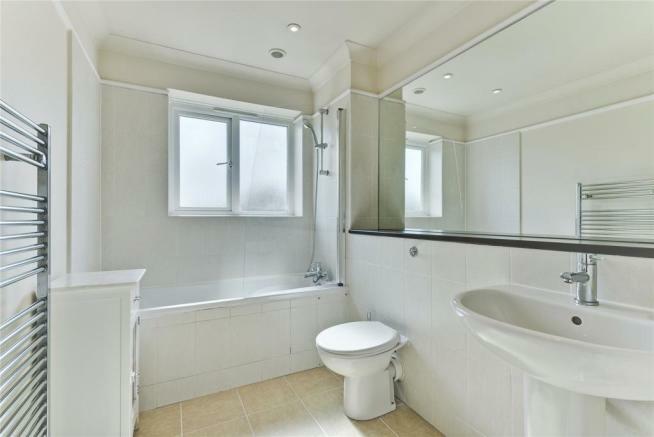 There are a further 2 bedrooms which are served by a family bathroom. Externally the rear garden is mainly laid to lawn and features an abundance of mature trees and shrubs. 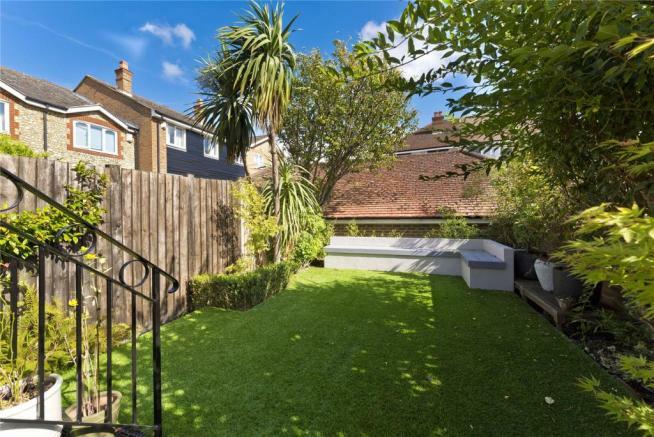 There is also a decked terrace area which provides an ideal space for BBQ'ing. The property has 1 covered parking space to the front. Disclaimer - Property reference EHS180173. The information displayed about this property comprises a property advertisement. Rightmove.co.uk makes no warranty as to the accuracy or completeness of the advertisement or any linked or associated information, and Rightmove has no control over the content. This property advertisement does not constitute property particulars. The information is provided and maintained by Savills, Esher. Please contact the selling agent or developer directly to obtain any information which may be available under the terms of The Energy Performance of Buildings (Certificates and Inspections) (England and Wales) Regulations 2007 or the Home Report if in relation to a residential property in Scotland.